The job offer can be found in the online job exchange of the employment agency. Further information on the area of responsibility (administrative activities, correspondence German/English) can be obtained from the IMPRS-CS. 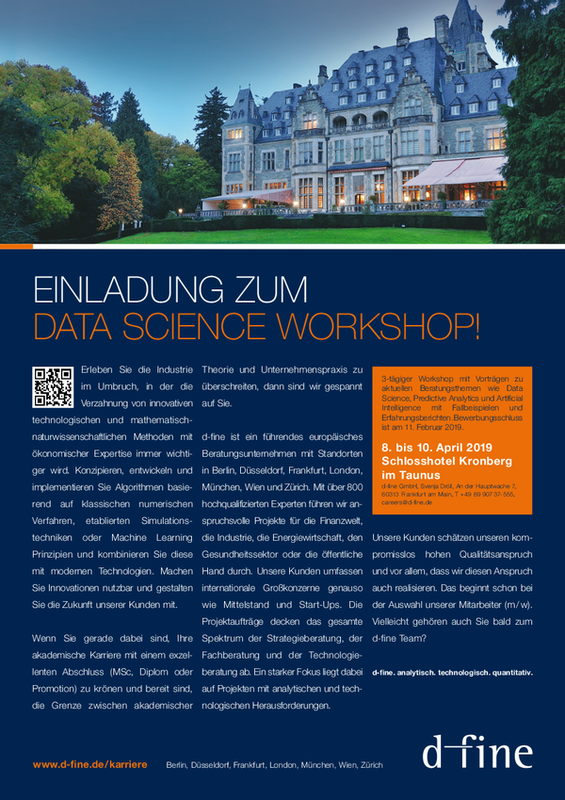 Three-day workshop with talks on current topics of interest, such as Data Science, Predictive Analytics and Artificial Intelligence and including exchange on case examples and experience. The application deadline ist February 11, 2019. 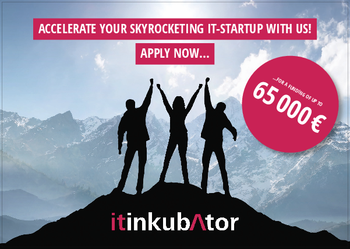 "IT Inkubator" is a joint venture of Max Planck Innovation and Saarland University for technology transfer. With its help, ICT research results can be developed through an incubation process, or a new company can be founded to market these results. Established industrial companies can also acquire licenses for new ICT technologies in order to develop and better market them. According to its own statement, www.computeroxy.com is the leading academic web portal for the careers of professors, lecturers, researchers and academic managers at universities in the computer, electrical, mathematical and engineering sciences worldwide. Computeroxy helps universities recruit from Australia, Austria, Bahrain, Belgium, Brazil, Canada, Colombia, Chile, China, Colombia, Denmark, Ecuador, Finland, France, Germany, Hong Kong, Iceland, Ireland, Israel, Italy, Japan, Kuwait, Liechtenstein, Luxembourg, Macau, Mexico, Monaco, Netherlands, New Zealand, Norway, Oman, Qatar, Peru, Saudi Arabia, Singapore, South Korea, Spain, Sweden, Switzerland, Taiwan, Trinidad and Tobago, United Arab Emirates, United Kingdom and United States. Computeroxy directly and personally addresses 630,000 professors, lecturers, researchers and academic managers who receive specialized newsletters twice a month.